Officers arrested Luke Waruszewski and charged him with murder after an incident at 111 Coors Blvd. Luke Waruszewski, 26, was arrested and charged with Murder just hours after an altercation with a victim that resulted in the victims death. Last night at about 8:40 p.m., Albuquerque Police Southwest Area Command Officers were dispatched to 111 Coors Blvd NW in reference to several calls indicating that a male subject was lying on the ground in the parking lot. Officers arrived and located a male victim who appeared to have injuries to his neck and was not breathing. Citizens in the area observed the victim needed assistance and immediately rendered CPR. Rescue arrived and the male was pronounced deceased on scene. Due to the circumstances this was made a Violent Crimes Investigation. Witnesses told police they observed a cab drive quickly out of the parking lot and that is when they observed the victim lying on the ground. A short time later, a female identified as Marlene Romero called police to report that her son, Luke Waruszewski, arrived to her residence and told her that he stole a cab and hurt someone. Officers were quickly dispatched to her residence however when they arrived both Waruszewski and the cab were gone. This information was provided to surrounding agencies and officers continued to check the entire city for Waruszewski and the stolen cab. At about 10:50 p.m., State Police were dispatched to the Dancing Eagle Travel Center located off I-40 near exit 108. A caller called police to advise of a cab that appeared suspicious and had what looked like blood on the door. State Police arrived and located Waruszewski walking out of the travel center with a gas can, degreaser and rags. Waruszewski verbally confronted the officers but eventually complied with their commands and he was taken into custody without incident. Waruszewski was transported back to Albuquerque where he was advised of his rights however refused to speak to police about the incident. At this time, the next of kin of the victim have not been notified and detectives are awaiting positive identification from OMI to make this notification. Waruszewski has been booked into MDC and is currently being held. 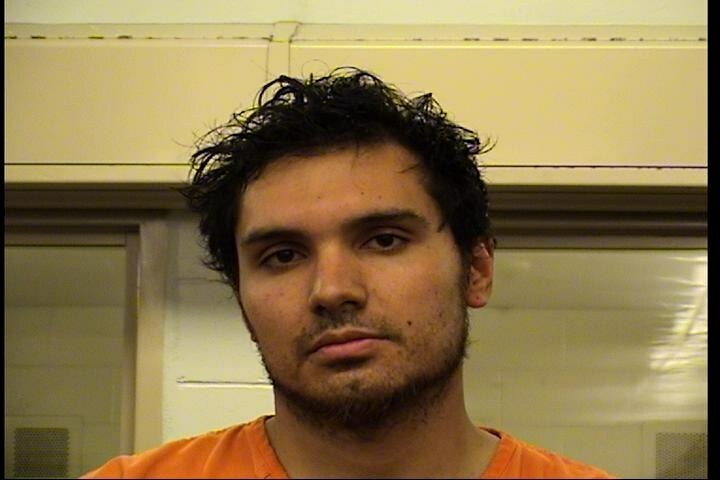 The Albuquerque Police Department wants to thank the New Mexico State Police for their swift response and assistance in getting Waruszewski into custody.